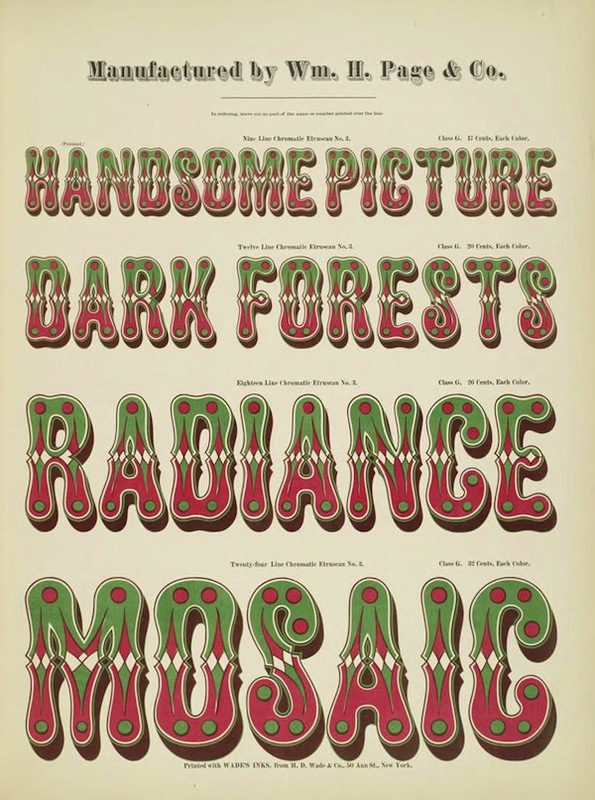 Some select pages from the exquisite Specimens of Chromatic Wood Type, Borders, Etc. 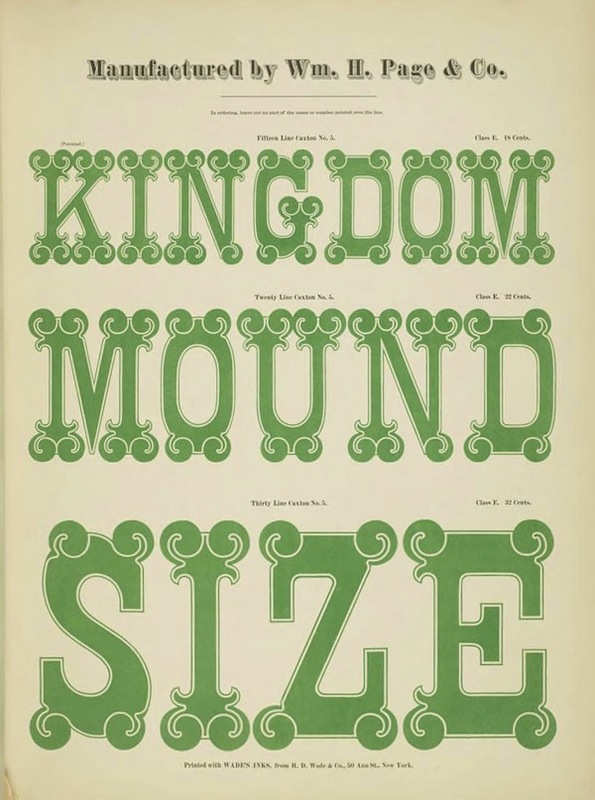 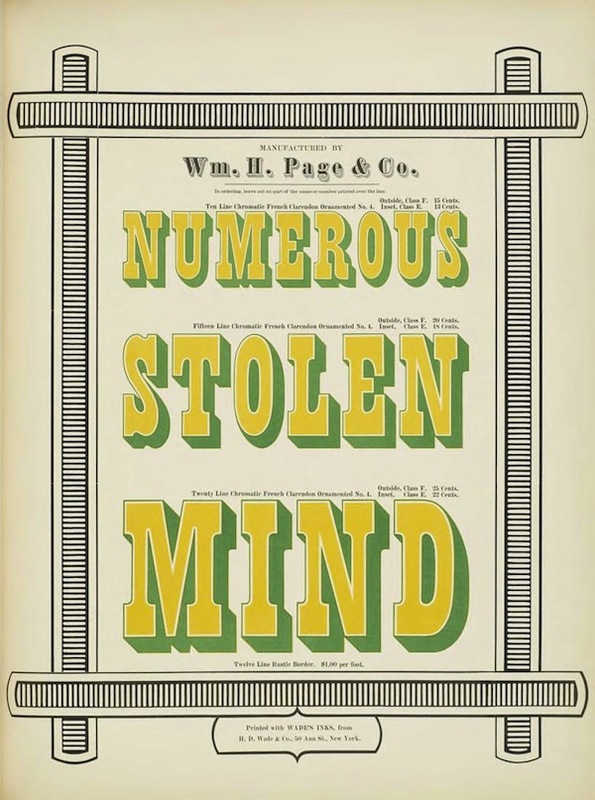 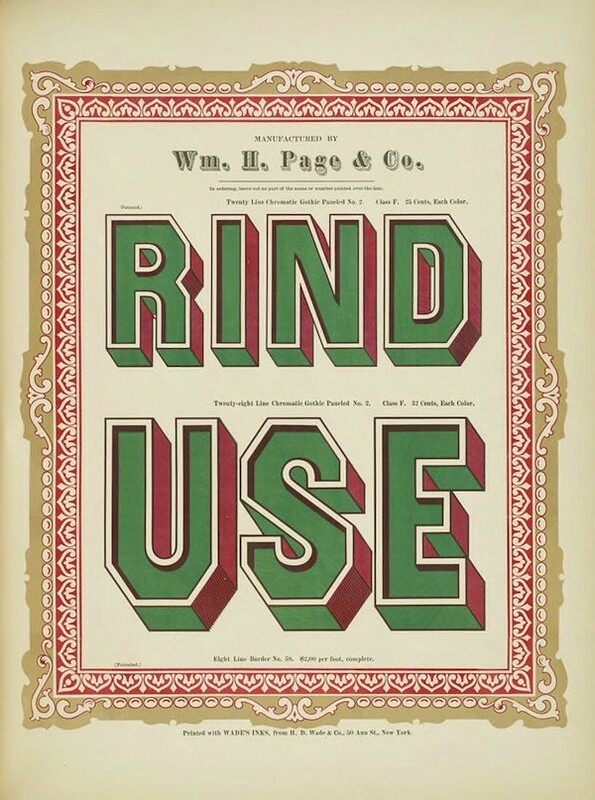 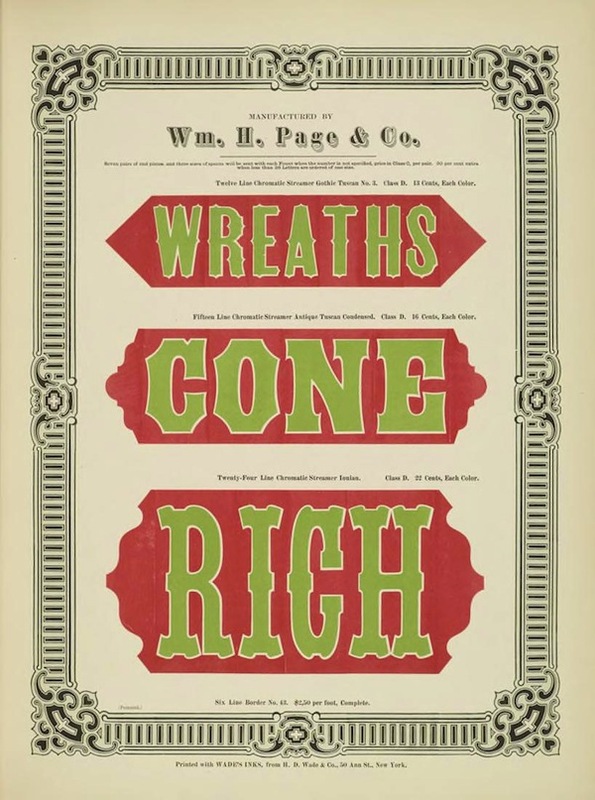 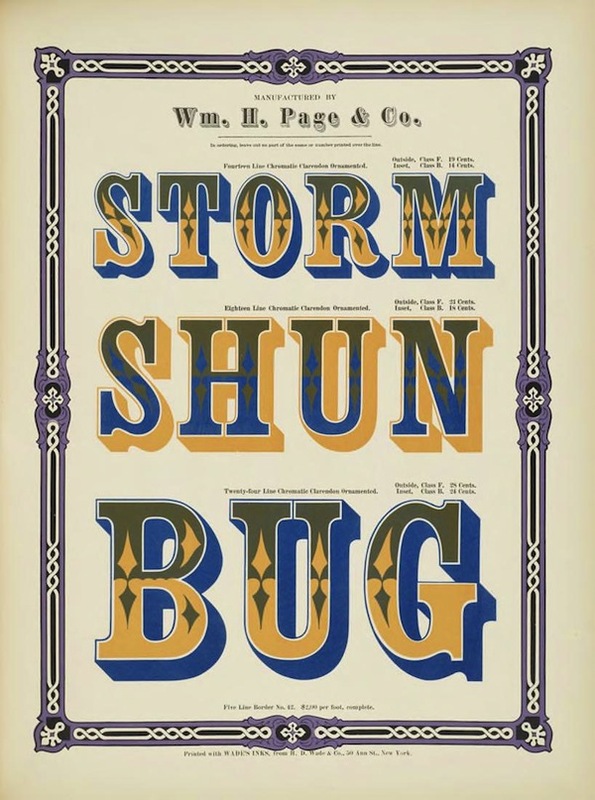 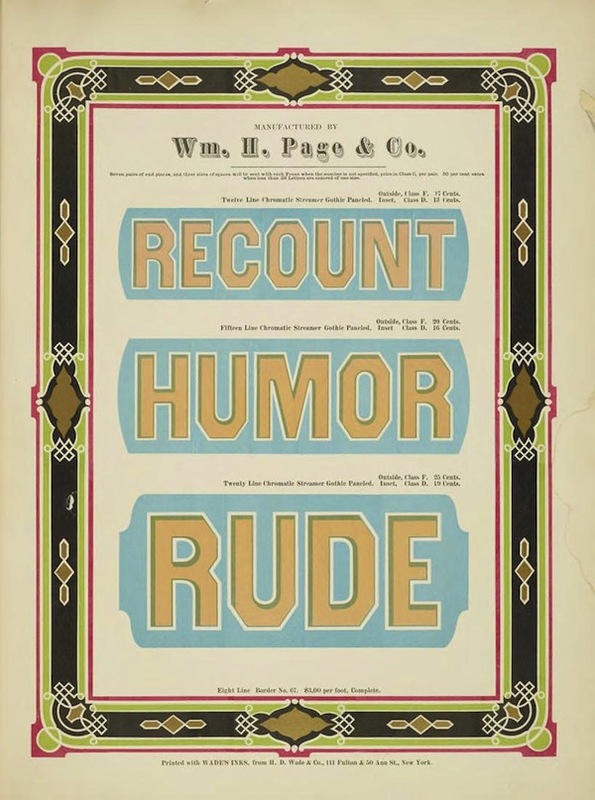 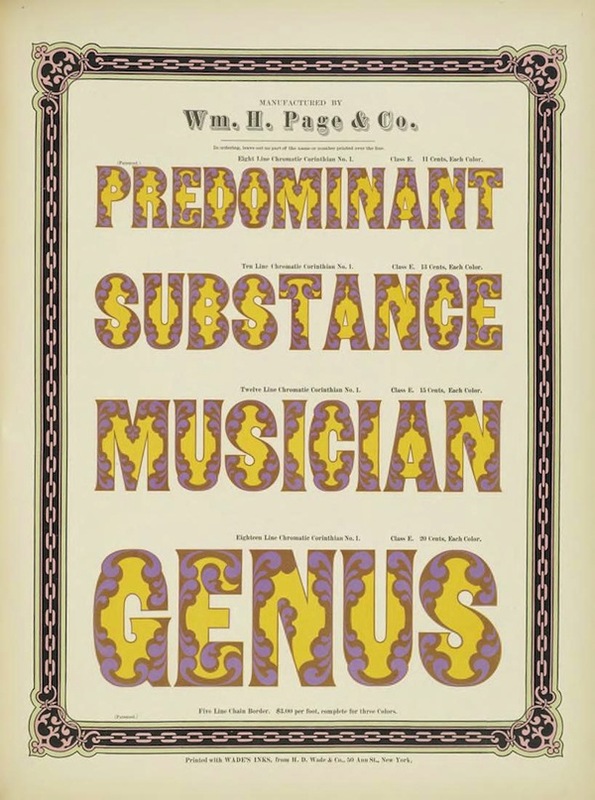 (1874), a specimen book produced by the William H. Page wood type company. 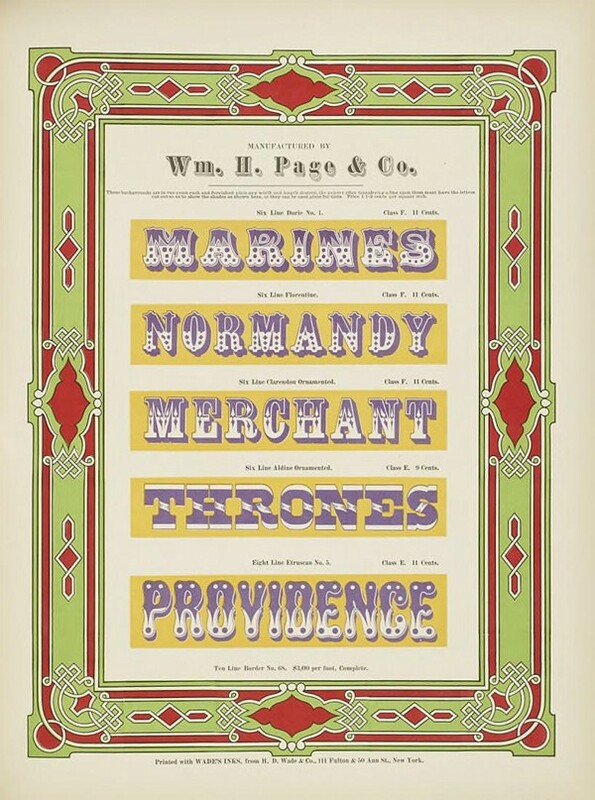 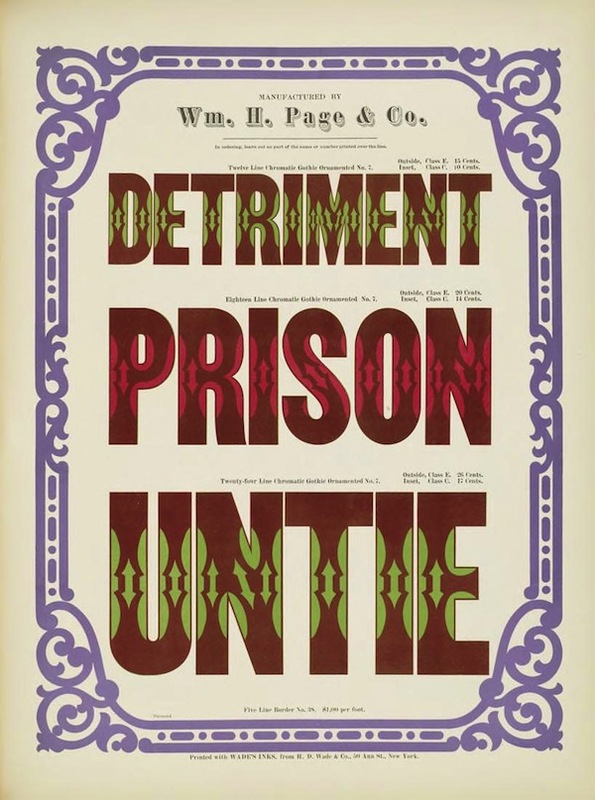 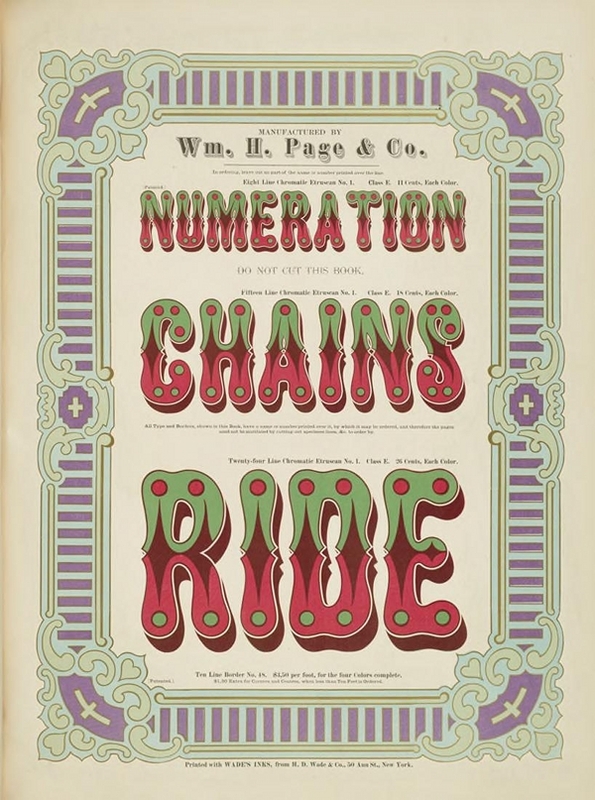 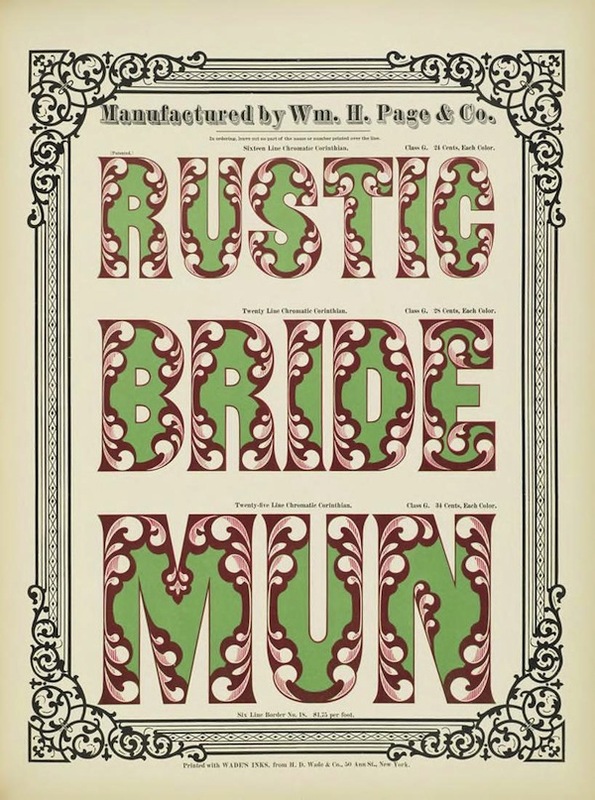 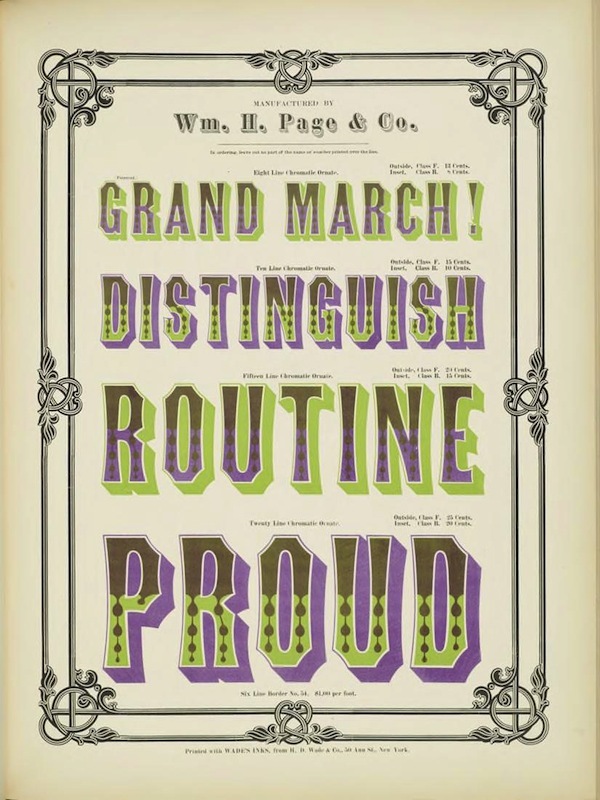 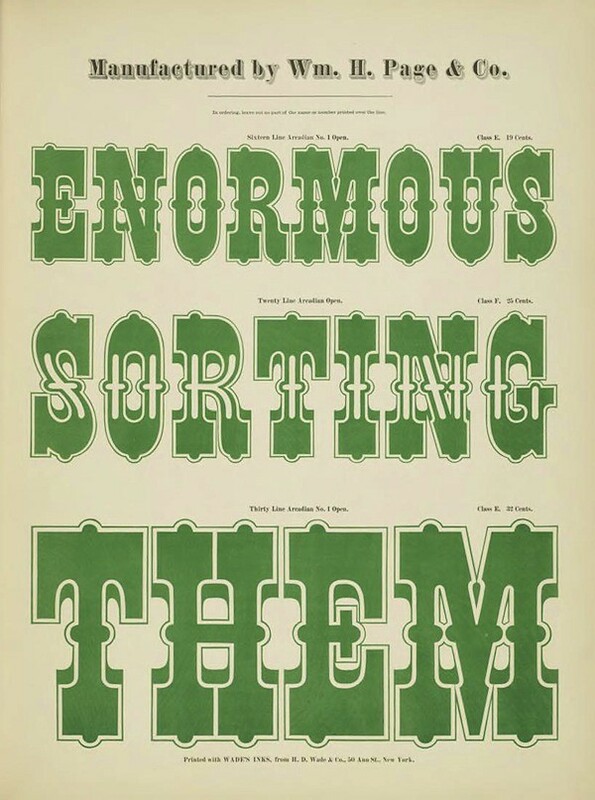 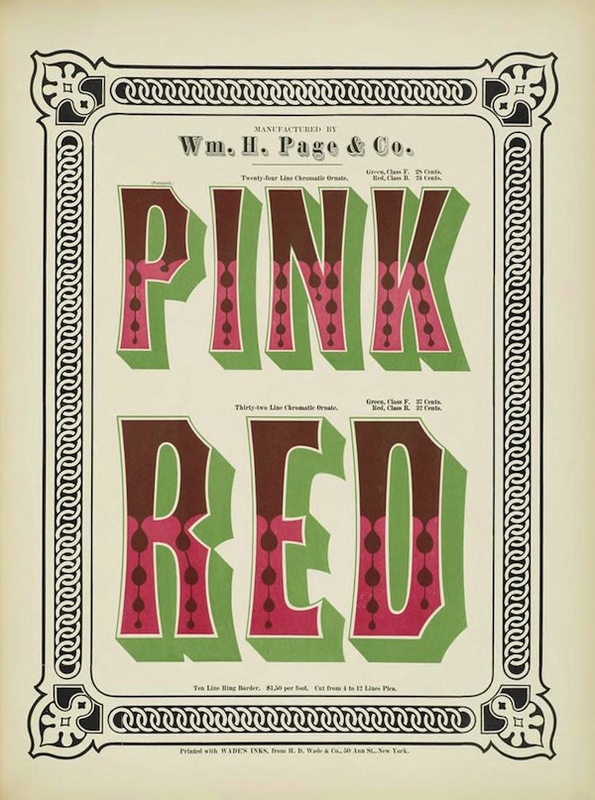 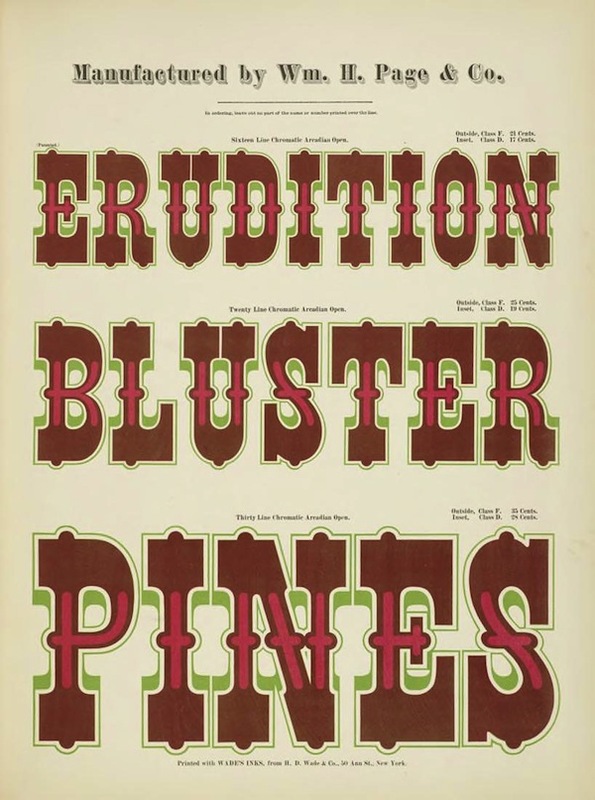 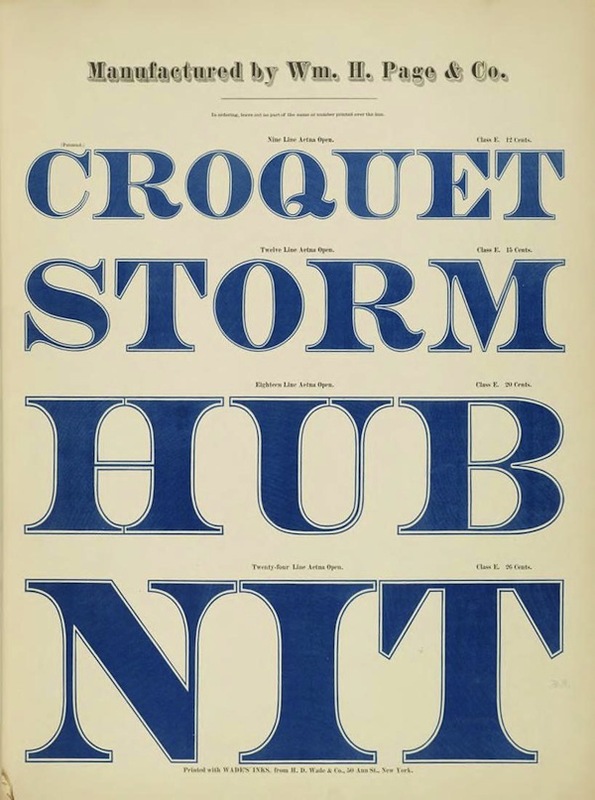 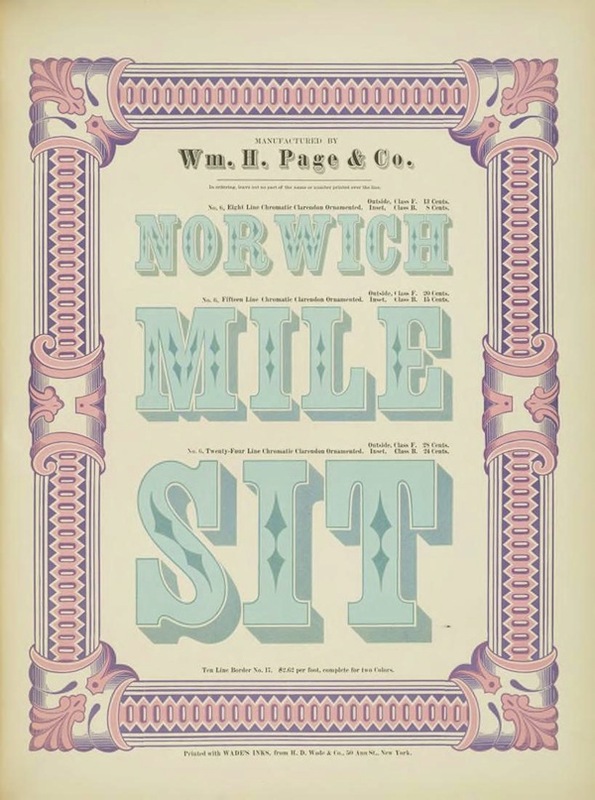 Chromatic types, which were made to print in two or more colours, were first produced as wood type by Edwin Allen, and shown by George Nesbitt in his 1841 Fourth Specimen of Machinery Cut Wood Type. 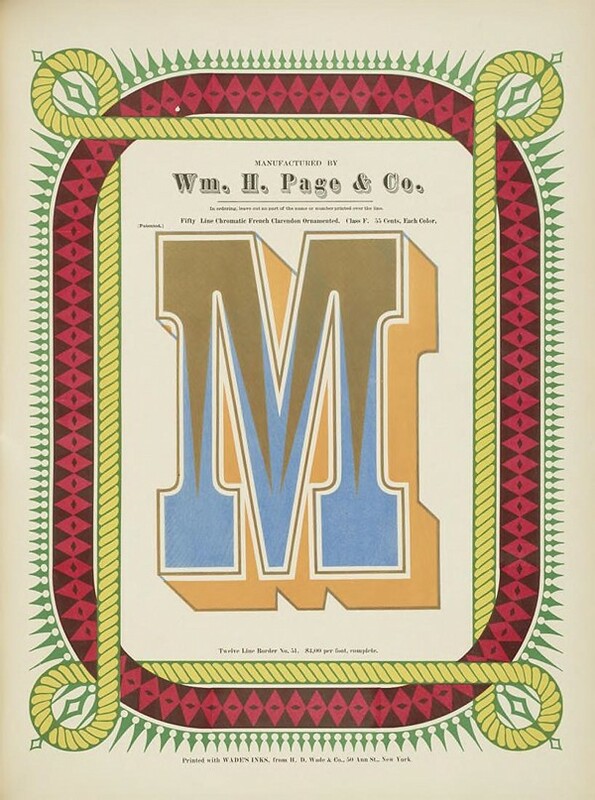 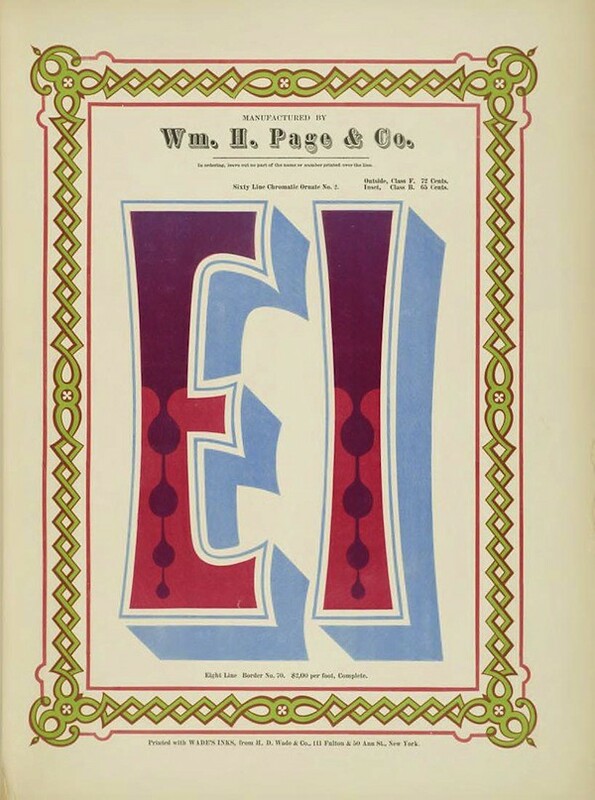 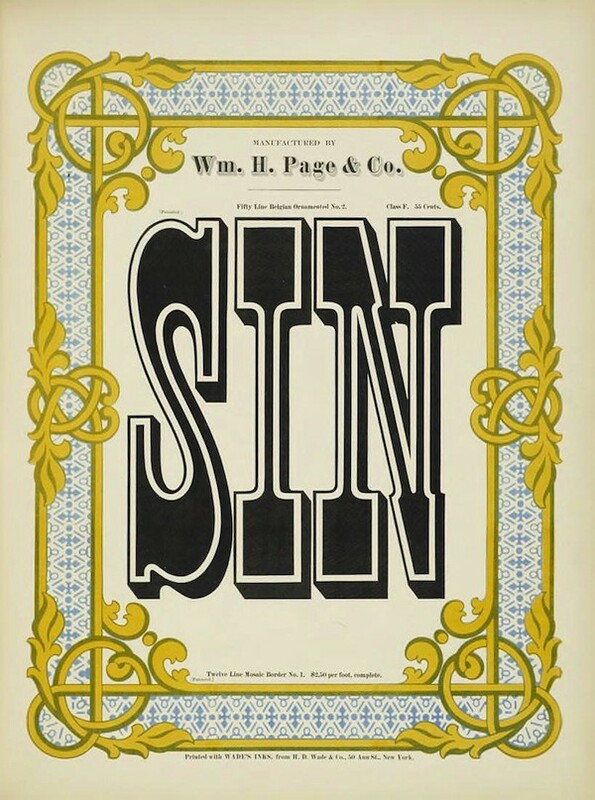 It is William H Page’s book, however, that is considered to be the highpoint of chromatic wood type production. 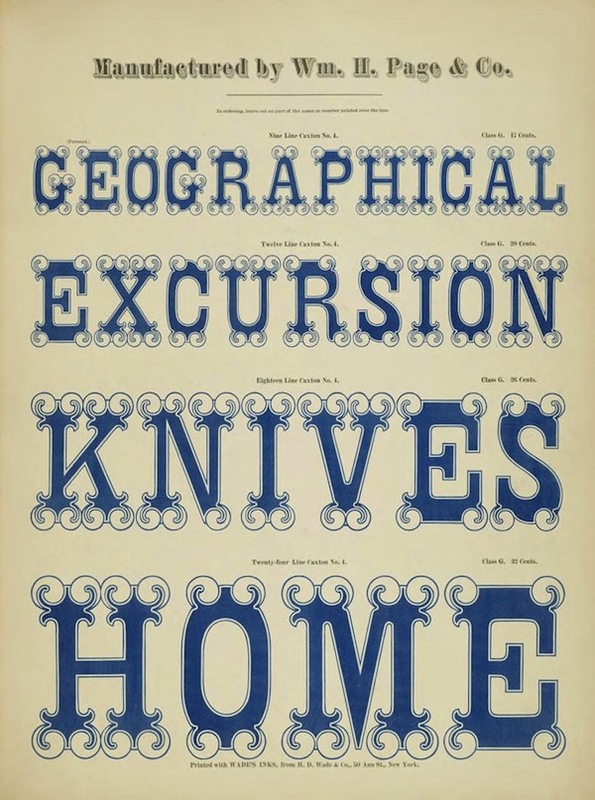 As well as providing over 100 pages of brilliantly coloured type, the book can also be seen, at times, to act as some sort of accidental experimental poetry volume, with such strange snippets as “Geographical excursion knives home” and “Numerous stolen mind” adorning its pages. 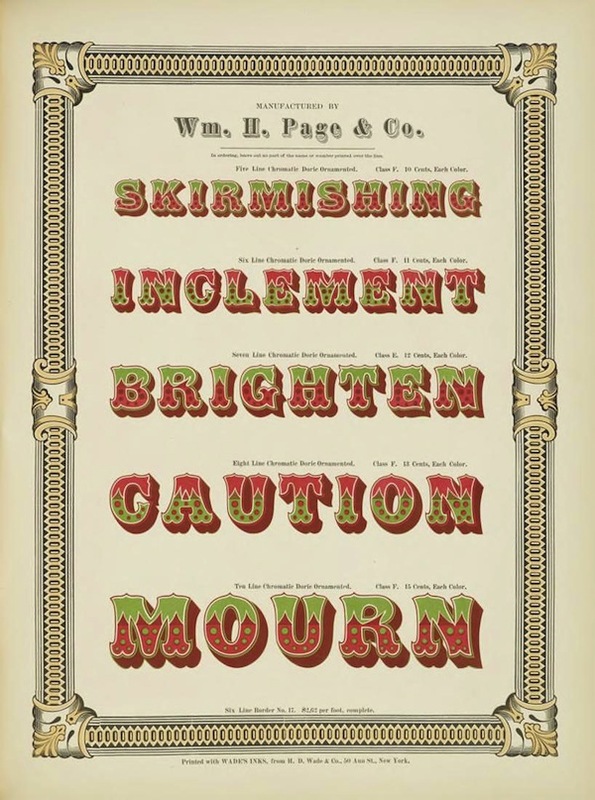 One wonders whether the decisions about what words to feature and in what order were entirely arbitrary. 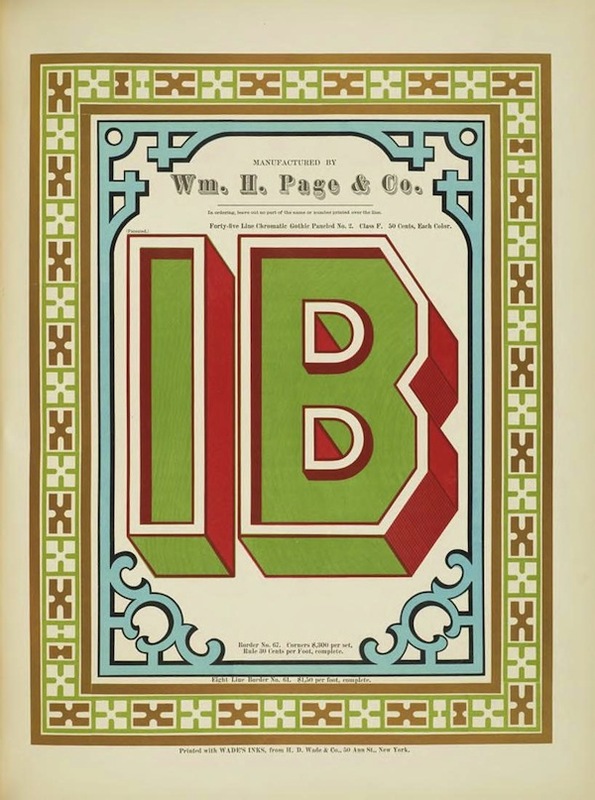 Thanks to the wonderful Bibliodyssey blog where we came across the book: visit the post there for more info on the book and a great list of related links.